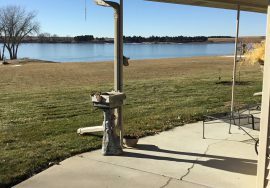 This Sandhills ranch can make a sizable addition to your existing program or stand alone for someone looking to start a new operation. Range land is divided into multiple grazing units that have good reliable water sources supplied by two submersible wells providing miles of piped water. Mature tree groves offer substantial protection for wintering/calving your herd. Dryland crop and upland hay acres offer many feed opportunities to be able to leave livestock on the ranch year around. This home was custom built in 2009 with quality and longevity in mind. The interior of this all electric 3,848 sq ft home includes 4 bedroom, 3.5 bathrooms and an attached over-sized two car garage. Throughout the home there are solid oak doors, custom cabinets, granite island counter top, renew air exchange system, whole home humidifier, sound system (inside and outside), security system (whole home and detached garage), wet bar in the basement, and the main level and basement are ran with separate thermostats. There is a 1,400 sq ft detached 3 car garage with one of the stalls being insulated and heated to be used as a shop with 220 service. This property is beautifully landscaped with underground sprinklers, an established wild flower garden, mature trees (oak, blue spruce, ash, pine, apple and peach), ground fire pit and garden shed. This house and outbuildings sit on 3.3 acres within driving distance to the golf course. 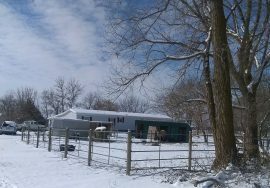 Looking for a small grazing unit with recreational draw as well, come check out this pasture! 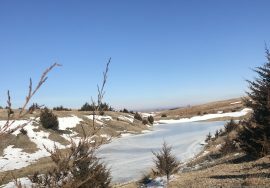 The pasture has a new solar well with four stock tanks, a half acre pond and views of the Middle Loup River. There is a recorded access easement into the property with a well established road. 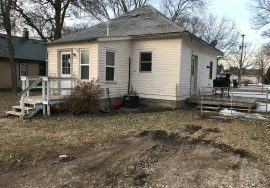 Give us a call to view this property! 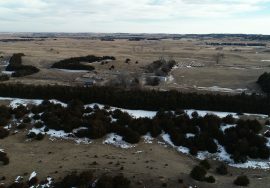 60.9 +/- ACRES – 43537 TEAL RD LONG PINE, NEBRASKA - NEW LISTING! 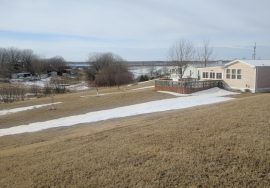 This acreage is a one of a kind scenic get-a-way with great access and huge potential. 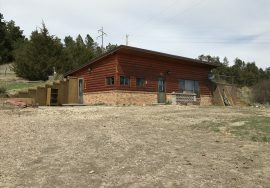 Location, Location, Location and this homestead offers highway access, walking distance to all the amenities that Keller Park State Recreation Area and Bone Creek offer, secluded canyon views, and additional acres for your outdoor lifestyle. If you need room for livestock the property offers multiple grazing units, and handling facilities equipped with stalls, tack storage, and pens. A log cabin bunkhouse provides additional living space with a built in sauna. 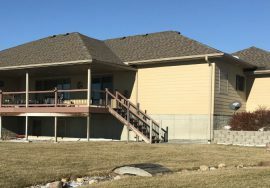 This North Central Nebraska acreage has opportunities that are endless to any outdoor enthusiast. Don't miss out this summer! Call for your private tour today! This single level home is perfect for anyone seeking a house with functional simplicity. The home offers easy accessibility to 2 bedrooms, 1 bathroom, kitchen, living room area, and an enclosed porch. A detached cabin offers extended living space with full bathroom, loft sleeping, and storage/relaxing area. Sitting on 2 lots this property offers ample backyard room for all of your outdoor activities. If your looking to buy your 1st home or down size for lower house hold chores come take a look today. 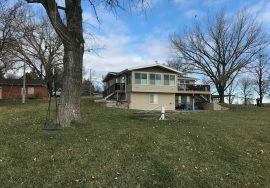 This is a must see property at Lake Ericson! Over 3 lots gives you plenty of space to spread out. This house is 1,344 sq. 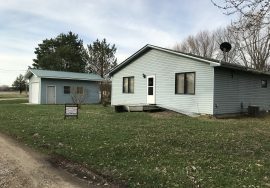 feet with 2 bedrooms, 2 bath ( 1 includes a whirlpool bathtub) an open concept living/dining and kitchen area. 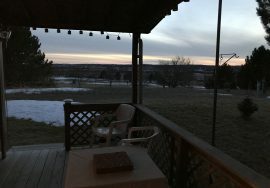 There is an attached deck, detached garage, beautiful fireplace, and a view of the lake. This property could be utilized as a cabin or a place to make a home. Cabin Realty and Ag Services, Inc. has been a small privately owned business since 1989. We specialize in offering personal service with honest representation. We deal primarily in farm and ranch real estate sales and management. 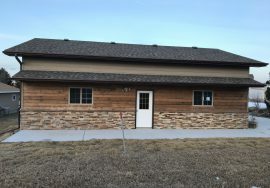 However, with our recent office relocation from Ericson to Burwell, Nebraska we have increased our sales and management team and are currently expanding into the residential and commercial real estate markets.